Don't let that intimidate you, though! 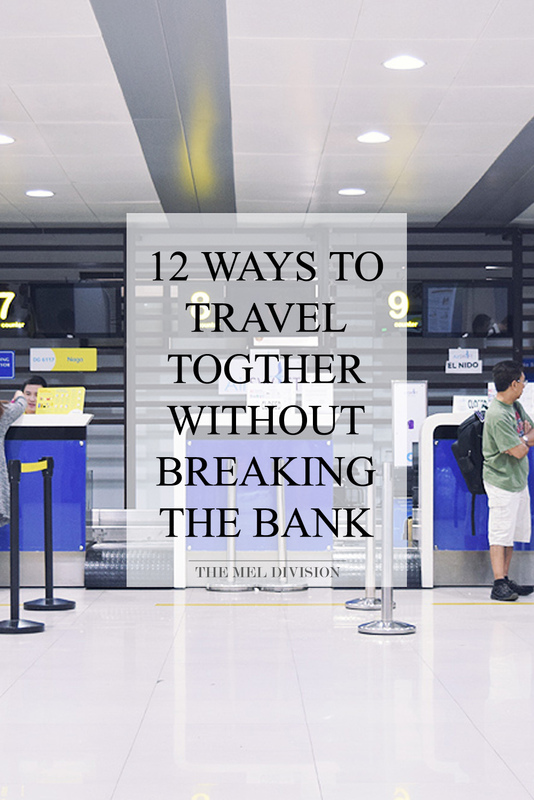 Traveling together can be fun with enough planning and working as a team. Here are some of our tips to get you on track for the best trip ever. Set a budget - This comes as a given with anything you plan because you don't want to end up more broke than you may have been already. Trust me, it is the same tip you have to use when buying an apartment, planning a wedding, purchasing a car. First, do some research in order to figure out where you want to go and get a rough estimate of how much the trip may cost you - from the plane ticket, lodging, food expenses, etc. Make sure you set a realistic goal when you decide to save. Choose from either a) a fixed amount per month for you and your partner or b) a percentage based on how much each of you make per month. Book tickets in advance - You know the saying, the early bird gets the worm? That's how airline pricing works because most people are not booking early in advance. Unless you want to book last minute and depend on your chances of the prices dropping for those last minute customers. I did score a ticket once to fly down to Miami two days before I left for less than $140 from Newark during spring break! Use your mileage - Once you save enough mileage, spend them to get free flights! Instead of using them to obtain items like a designer bag, use it to travel for free. 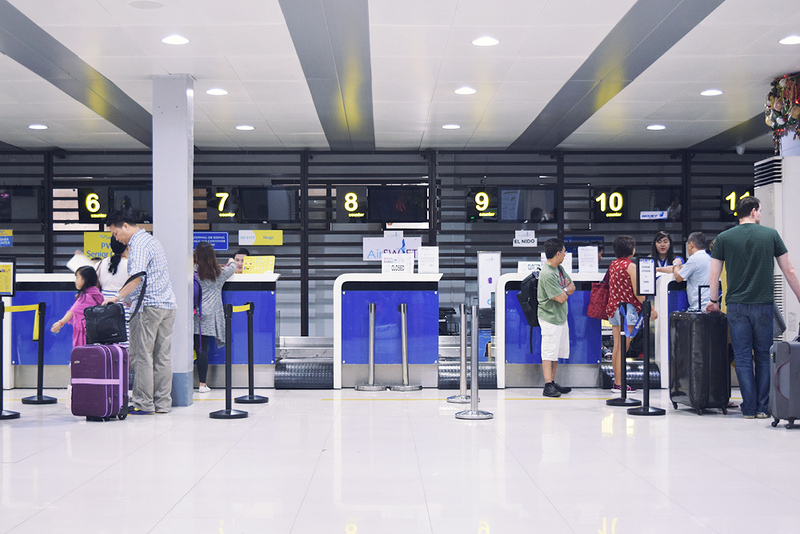 I have used mine in the past to pay for an international flight but in order to earn mileage, you need to spend some of your own money on traveling first. Pick an airline (e.g. United) that you like and focus on earning points with them. Then you can use your mileage to travel wherever you want and be able to score free tickets for both you and your partner. Search for promotions and discounts - One of my favorite promotions is from hotels.com where if you book tens nights with them, you can get one night free (worth the average of what you spent from the ten nights at each hotel). I was able to use my free night with ease. Just like earning mileage points, this rewards you for your travel! Decide who will bring what - This helps make packing easier in order to save space and share belongings, instead of individually bringing the same essentials. You can take care of packing the bathroom soap, shampoo, and conditioner while the other person packs the snacks. Traveling in twos can be helpful because if one person does not have something, there is always a chance the other person may have it. Work while traveling - I know this may not be the most ideal thought as many just want to relax and enjoy their trip, but this is a great way to keep costs within the budget while earning money. There are plenty of jobs you can find: bartending, hostel worker, farm worker, cruise ship worker. Many cruise workers give up living at home to work on cruises and travel for months at a time. They are able to get their break and explore whenever the ship docks. Research local airports -Local airports may be smaller than the more popular ones but they can save you some money because they offer cheaper airlines (e.g. Frontier Airlines at Trenton-Mercer Airport in Ewing, NJ compared to Newark International Airport in Newark, NJ). Make all purchases on your credit card - Many credit cards offer rewards to help you earn cash back or travel rewards. Take advantage of this before your trip to help you save a few more dollars! Any help at all is good as long as it helps you save money. Don't stay at a hotel - Rather than staying at a hotel that can sometimes be overpriced, why not try: hostels (guests can rent a bed/bunk bed in a dormitory and share the kitchen/bathroom/lounge), Couchsurfing (stay at a person's home and literally sleep on a couch/mattress while making new friends), House-sit (keep an eye on someone's home while they are away and stay in it for free), AirBnB (rent out a person's home anywhere you go and payments are handled through AirBnB), HomeAway/VRBO (vacation rentals where payments are handled by payer and owner), HomeStay (allows for guests to stay at a home while the host lives in it; the host may have certain rules in their house while providing valuable information to help you travel around the place they live in). Obtain rail passes - If you plan on travel to several places in a certain area/country, purchase rail passes instead of buying individual rail tickets. This can help you save a lot of money and makes travel time more flexible to let you take the train time you want. Before I traveled to Japan, I bought a JR Rail Pass at JRPass.com (available for purchase for $279 in the US, not available to Japanese residents) that was shipped to my home via FedEx. This saved me a couple hundred dollars as oppose to buying the tickets in Japan! Cook your meals - Although you want to try all the ethnic foods in the country you are at, schedule meals to make on your own. For example: if you plan to go out and eat a big meal for dinner, save your stomach and eat a small home-cooked meal for lunch. Travel during off-peak times - Airlines always get expensive at certain times of the year whether it be due to the season or holiday. Try traveling during off-peak days. If you have to travel during the holidays, sometimes the price is cheaper if you travel the day of the holiday rather than the day before or after. That is the end of it! Please let me know if any of these tips have worked for you. I love sharing some of my tips from experience and I hope they helps save you a couple hundred dollars. If you liked this post, check out more of my travel posts! Nice tips dear. Yes, cooking your meals can make such a huge difference on your budget when traveling. I love it, 'cause I get to save more money to shop! Ha!